Grape Hyacinths – photo art, a photo by bhojman on Flickr. Spring has arrived here in Oz. So welcome! The warming days and the absolutely gorgeous flowers are so healing to the soul. 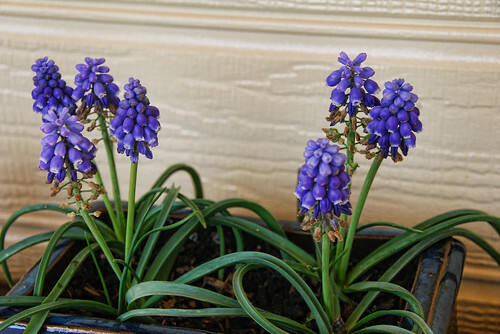 Here we have some Grape Hyacinths, one of my most favourites. Their delicate little bells proclaim to me that God remembers me and loves me. I turned this into a piece of photo art by using software from Topaz Labs.